Guess you’re trying to find the best paintball mask that suits your play style. Are you are confused after seeing so many masks available out there in the market? If that is the state you are in, you are in the right place. Here you’ll learn about the top 7 best paintball masks in 2019 and I’ll show you how to choose the paintball mask that suits your playstyle best. Considering top and best paintball mask reviews can be a wise idea so that you can be able to understand how do pro paintball players choose the paintball mask and this can help you to make an informed choice. 3.0.0.1 What do you need to know about the V-Force Grill Paintball Mask? 8.2.1 Q1) What is a thermal lens paintball mask? 8.2.2 Q2) How to stop fogging on paintball mask? 8.2.3 Q3) How do you clean the paintball masks? 8.2.4 Q4) Can you wear a paintball mask for airsoft? 8.2.5 Q5) What to wear under paintball mask? If you are going to the field for the first time, You can feel fear as well as excitement, muddled between hundreds of questions and thoughts giving you adrenaline. One of those questions or thought might be regarding your mask. Is it safe enough? Will it protect me in any given scenario? The safe paintball mask is compulsory during any paintball game. People also customize their mask to standout during the match. There are plethora masks available online at very reasonable prices. But how you will choose the best if you are a newbie? How will you decide the best paintball which is suitable for your match or event? If you ask any paintball enthusiast about best mask, best gun or clothing, they will start defending their favorite brands, and you will never find the correct answer to it. You will be lost between their personal favorites and your choices. Don’t worry! For all of you guys, your hunt for paintball mask is over now. 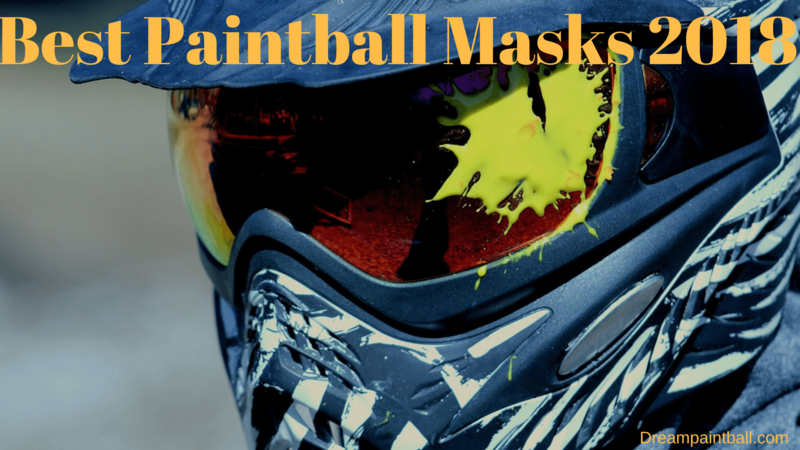 Today I’ll introduce you to Top 7 Best Paintball Masks in 2019. I’ve played paintball for more than 8 years so, probably I think that I am capable enough to help you out with this because I’ve been into this same situation too. Paintball masks are not just about strength or comfort but there are a lot of more factors involved like UV protection, anti-fogging, breathability, ease of maintenance, etc. Lets first look at the list and later I’ll discuss these factors in detail. Founded in 1994 by Dave Dehaan, DYE Precision has been producing various paintball equipment and has been renowned for its top end products. Gaining fame and positive reputation, DYE Precision has continued making paintball goggles until now. One of their latest products is the DYE Precision I4 Thermal Goggles, which introduces significant improvements and development in their goggle series. When we talk of the best paintball masks in 2019, then without a doubt this brand needs to be one of the topics of discussion. 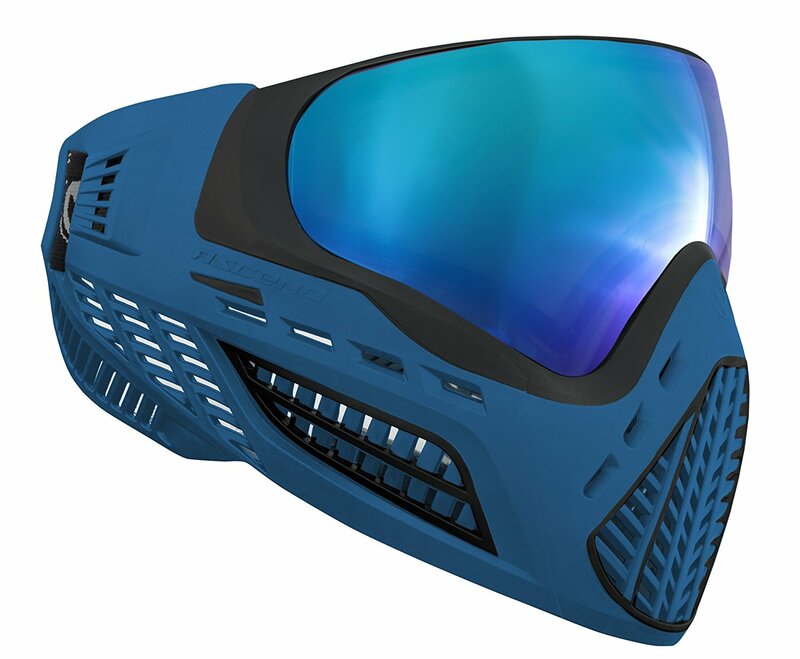 The Dye i4 is a type of mask that heavily suites outdoor paintball. The mask is very comfortable and is able to fit well on medium to large sized heads. It is important to note that at the beginning they may feel tight, however, the mask comes with straps that can be adjusted, in order for the mask to properly fit your head. These straps also prevent the mask to fly off. Paintball goggles are considered a long-term investment, which is why when making a purchase it is important to note the quality of the material being used and the reputation of the manufacturers. The Dye i4 has one of the most top rated goggles that you can find. These goggles are made of quality-boosting features that surely will be discussed. With more than 20 years’ experience, DYE Precision has improved their I4 Thermal goggles and made it slightly lighter, smaller, and clearer field of vision. It also has an anti-fog feature, which makes your vision free of major distortion regardless of weather conditions. Together with optically improved impact lenses, scratch resistant and UV coatings, I4 thermal goggles offer more peripheral vision than their previous masks. You won’t have any trouble to adjust your goggles due to its comfortable mask shapes that fits all facial contours. The foam included in the goggles is strategically designed to properly absorb bodily moisture and keeps you sweat-free. With a variety of lens options, your gameplay is greatly improved by matching your lenses to the lighting conditions in your environment. These goggles feature standard thermal paintball lens which further enhances your visual performance. They can also be easily customized according to your preferences and have tiger-teeth buckles that would safely secure the mask to your face. Also, the mask has been carefully designed to dissipate heat and moisture efficiently, which also makes for clear vision. The I4 Thermal Goggles is tested and certified by ASTM and CE standards. They also offer a lot of variety of colors from simple plain colors such as Red, Black, Blue, and White, to combined colors, such as White/Gold and Black/Gold. Anatomic mask fit for all curves on the face. Aerodynamic venting, with the intention of preventing fog. 15 different colors to choose from. These masks are easy to use and provide the user with peripheral vision helping you spot opponents coming from different angles easily. If you have a big jaw, your chin can potentially be exposed. The V-Force Grill Mask is one of the very popular paintball masks. It is popular mainly because it is comfortable, lightweight, comes with HDR lenses, breaths pretty good and sells at an affordable price. Apart from having a cool mean look it also has so many cool features. 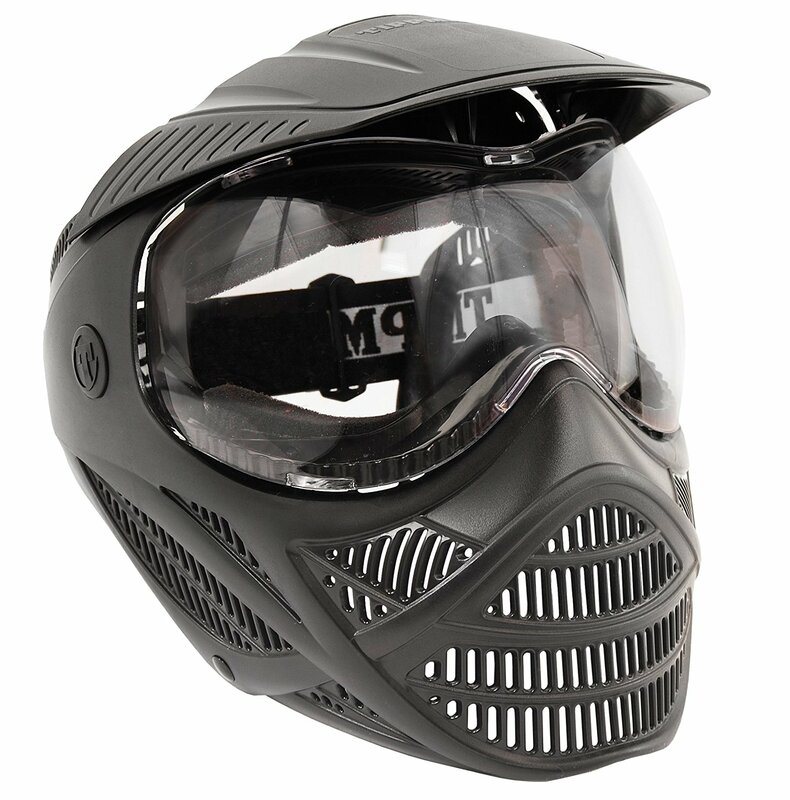 What do you need to know about the V-Force Grill Paintball Mask? The mask is made from a combination of rubber and foam which is soft and polymer. Inside of it is made up from rubber to keep your face from an injury during the game and encourages you to focus all through. In addition to your composure and balance in the game, the phenomenal gorgeous appearance of holes shows that projections of your voice can be made. Also, well coupled with constant air circulation and keep you up in the game. Splendid grill lens can help provide you with great vision, the mask adjusts on your face pretty good. The mask also has foams inside which provides extraordinary comfort to your face. It has UV protection lenses to enhance you with optimal optical health. As a sportsperson the crucial thing to keep you winning is your safety and your long-term health, having a great vision is a big deal that’s why UV protection lenses are much needed in a mask. As a result of tough exercises and plays in the game, you need a dry and dense foam in the mask that would keep you sweat-free and dry. There is a quick change of thermal lens which can be interchanged easily helping you to save time and thermal lenses do not fog so it provides you with an anti-fogging technology. Also, comes with a chin strap that promotes comfort and stability during game. Provides an unrestricted movement due to light-weight design. Creates a pro version as a result of increased protection in rainy and sunny days. Better stability and comfort because of its chin strap and ventilation. Top notch view due to HDR lenses available for the array of different colors. Not suitable for someone with standardized eye lenses. It is one of the top mid-range paintball masks in its price range as it incorporates you with a more flexible mask that gathers for your choices and preferences. The mask is designed to fit all body sizes and offer you the room for flexibility. 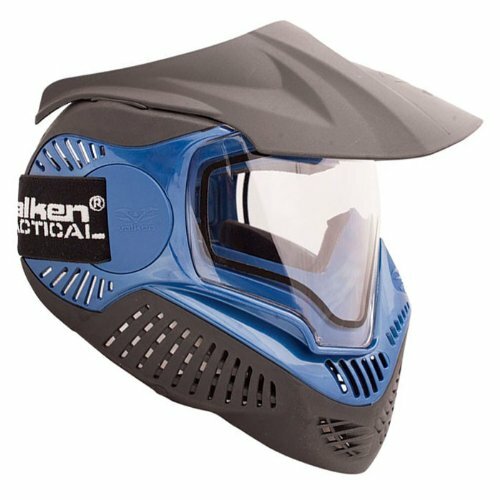 This mask as one of best paintball mask as it provides greater vision and help limit vision obstacles and imaging contrast in sports activities, also the ventilators within the mask not only provides you with the ability to breath well but can also help your communication on the sport alongside comfort that you can enjoy while playing. 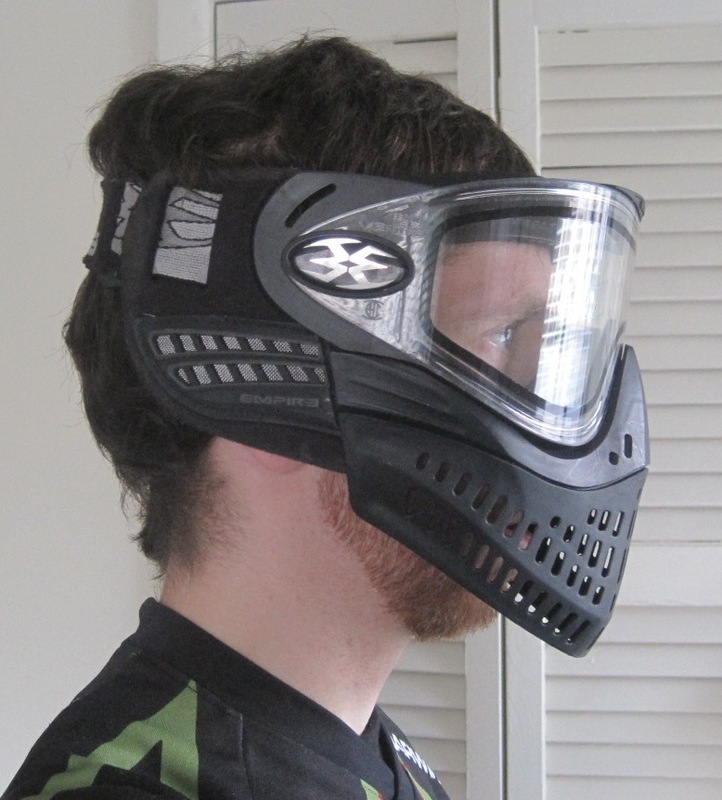 This paintball mask is extended and made flexible to accommodate any size you want. There is standardized and stable view. It’s made of the thermal resistant lens to keep you against fog while on the field hence boosting your vision at all times to keep you winning. There is multiple layer eye foam which allows easy removal of foam in your sport. There is increased view of your environment due to top-notch camera background to capitalize on your visibility before, during and after the sport. It contains resistant lens against ultraviolet rays UV to protect your eyes from damage. Through the combination of large and soft material, the mask creates a room to offer you with the comfortable position as your eyes and ears remain intact. There is less distortion of the optical cavity. It is extended and a flexible mask which values your size, it can pretty much fit all size heads to keep you comfortable. There is good sound contrast and communication due to the availability of good ventilators. There is lack of optical array of lenses which may not provide unique different backgrounds. The Empire E-flex Goggles includes the combination of the best features from Empire E-vent and JT ProFlex paintball goggles. With consistency in the paintball equipment industry, these goggles offers the best characteristics you can find in paintball goggles. The goggles may not have that much fame but the quality is one thing you cannot argue against as its features are designed to be exemplary to meet the user’s needs. Competing in the paintball industry, the Empire E-flex offers a lightweight, small profile and clear field of view product, which simply satisfies all its users. It includes in their goggles thermal lenses, which allow users to comfortably see and allow a larger vertical and peripheral vision. With its excellent technology, the goggles offer effective eye protection and let you rest assured longevity and durability of the mask. Just as important as the optical clarity is, the product includes an anti-fog feature that makes a higher percentage of visibility. The Vents lens system allows for easy and quick change of different lenses to allow adaptation in your lighting condition and varying environment. The product allows 270-degree view and a zero optical distortion that lets you always see without natural blockage of view. The product has a comfortable face foam that is both hypoallergenic and super comfortable that allows all users to use the product without itching and discomfort. It also boasts a thermo-foam earpiece that allows you to hear everything around you effectively, and miss almost nothing in your hearing range. With a soft and flexible mask skirt, your voice is heard clearly and offers high-end breathability. This specific product has a reduced and improved contour that is mainly designed for optimal gameplay and can easily evade attacks. The silicone bead that is attached to the mask is smartly designed to keep the mask in place and secured. 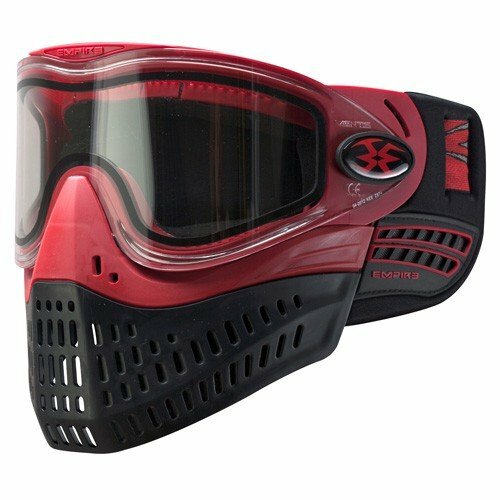 With optimally designed paintball mask, the product comes in various color choices from simple plain colors, such as Red, Blue, and White, to combination colors, such as Red/Black, Red/Blue/White, and Red/Black/White. Having highlighted the key features of the E-flex mask, clearly listing down the advantages, as well as supposed disadvantage, it would be fair to conclude that, this mask is one of the greatest masks for any player of the game, regardless of your level. It is beautifully designed to cover your head, without compromising on the comfort of the user, allowing free head movements while in the game, allowing the individual to have maximum functionality, which in turn will increase their efficiency in the game. So if you do choose to go for the Empire E-flex, you will be able to play the paintball game effectively, efficiently and comfortably. Valken Annex Ml-9 is a new addition to Annex Ml series by Valken Sports. You can call it an upgrade to previous Annex Ml goggle with the addition of some more fabulous features. Let’s discover some of the impressive features of this excellent goggle. The lens is the full imperative part of a mask. It protects you from paintball going to hit in your eye. The lens stops paint, dirt, and smoke going into your eyes. Valken Annex Ml-9 comes with a huge, very wide lens which provides excellent vision. Its lens is fog-free and gives you maximum clarity and perception. It has a special coating to resist water and avoid scratches. This chromatic lens also gives you 100% UV protection while increasing your eye comfort. It is not only long-lasting, but it is also flexible as well. It sits at a minor distance from your face. With angled ventilation holes gives you better breathability. They have used dual material and excellent quality foam inside the mask and kept their tradition of providing uncompromising comfort. The solid structure around your head also covers your ears to protect your ears from taking paint into it while keeping clear audibility. 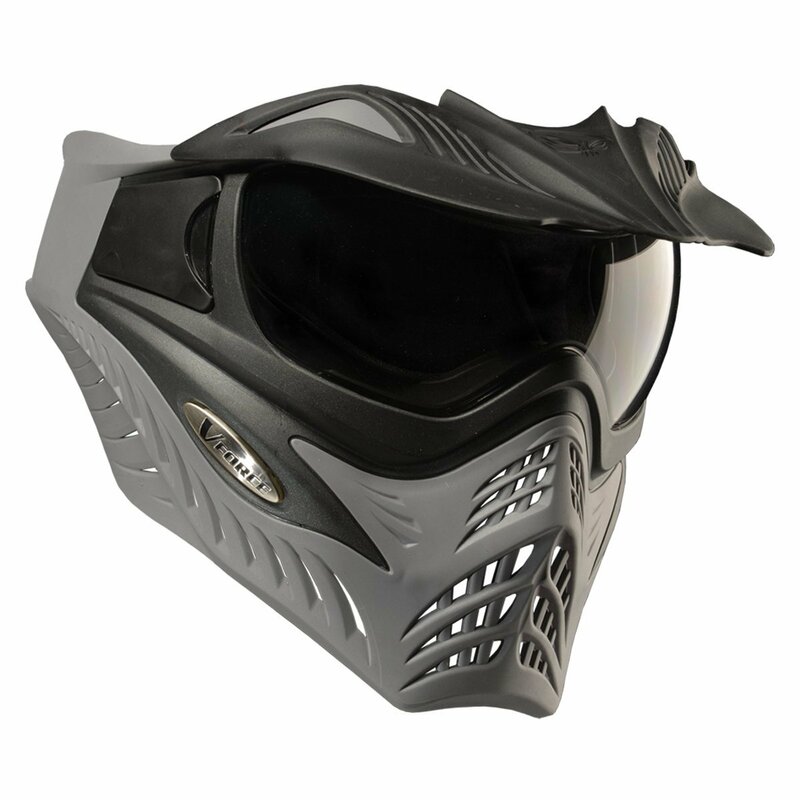 It is a lightweight mask which very suitable for paintball and other variations of the game. If you have a big head, it might not suits you. Cold weather can cause slight fogging. The Tippmann Valor Paintball Mask is an excellent combination of comfort and features with a reasonable price tag. The Tippmann Valor paintball mask protects your entire head and is very suitable for long matches, all-day events and high performance during tournaments. You can quickly remove it for cleaning and can wear it safely again within few seconds. The Tippmann Valor sufficient ventilation porting gives you better breathing and effortless communication. It has a removable visor which is fog free due to thermal coating and gives you clear vision without any distortion. For paintball deflection, it has the flexible and hard skirt. Soft foam is installed inside to give you more comfortable feel without disturbing your audibility. Even it is a full helmet mask, but it is surprisingly comfortable. Due to sufficient airflow, you will enjoy great comfort during the game. Even it comes with a reasonable price tag, but still, it is a great investment for the protection of your eyes, jaws, and ear. Incredible safety at such low price. The strap is adjustable, thick, comfortable and replaceable as well. Outstanding audibility and audio output due to large vents. The lense is not anti-fogging. You can feel the painless impact when you take a hit. If you want to make it anti-fogging, you will need a lens upgrade. Choosing a paintball mask is not difficult, but you need to remember one important thing: your eyes. You have only given two of them, and you always want to protect your eyes while playing paintball. So, I always suggest going for comfort and quality over just trying to spend less money on paintball goggles just because you don’t want to spend money on them. Well, remember, your eyes are very important to you. So I tell people, go with quality goggles. You don’t want to take off your mask every five minutes because they fog, they’re uncomfortable, they itch, they scratch, whatever reasons. 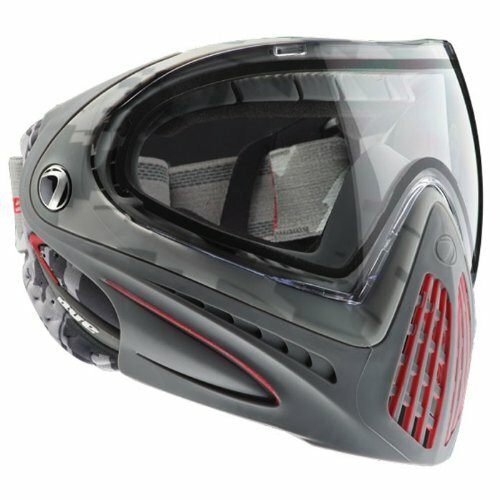 We can count 7 major factors in total which you should consider while buying a Paintball Mask. Let’s start with the most important thing about buying a mask is to check whether it has a thermal lens. One of the most annoying things that can happen to you when you’re playing paintball is having your mask fog up. A lot of people will go ahead and buy a mask that says it’s fog resistant or anti-fog thinking that it’s a good investment but generally it isn’t an anti-fog lens. It simply has a coating on it and when this has been hit a few times or it gets wet this coating is going to come off. Players spend good money on these masks and they expect them to work. Having this constantly fog up can ruin your day or even paintball in general for you. Instead what you need to buy is a thermal mask. A mask usually fogs up when the temperature outside the lens is different from the temperature on the inside of the lens. A thermal lens is a dual lens it has a foam in between the lenses and this is going to minimize the temperature difference on the outside and the inside. A good thermal lens should rarely fog up and some of the higher-end thermal masks should never fog up. So, other than the condensation of sweat another thing that can cause fogging in your mask is breathing when you’re playing paintball you’re typically breathing heavy and sweating. What you want to find is the mass it creates a good seal around your eyes and your nose. This is going to prevent your breaths going up and fogging up your lens. Another option is to wear a smog on your head and your mouth there are a few more tricks for preventing fogging up your lens. If you have an inexpensive single pane mask you can put dish detergent, hand soap or shampoo on your lens and rub it on leave it for a minute or two and then wipe it up this isn’t foolproof but it will significantly reduce your amount of fogging. So, one of the major advice which I would give to you guys is to go for none other than thermal lens paintball masks. They are really helpful. Definitely, you want to buy a mask which is gonna be comfortable to you. You don’t want to remove your mask every 5 to 10 minutes for various discomforts like itches, etc. Well, comfortability of a mask would depend on few factors. One of the differences between a cheap poorly designed mask and a quality mask is of material used in it. Bad masks contain rubber. Rubber gasket pressed against your face — not comfortable. But a good mask will contain foam on the inside, it’s more comfortable on your face so you’re less prone to take it off. Comfortability also gonna depend on your head-shape. This is the factor due to which you cannot simply suggest that this particular mask would be more comfortable than other because your head is gonna be shaped differently. So, I would suggest going to a local paintball store, try different masks, just seeing how they feel and select the one that feels better. This is the feature which determines how you will be using the mask. A good player is the one who looks at how the mask weighs. The best mask is the one that ranges from 1-2 in terms of weight. When it meets this, then you will enjoy your job. Another important thing to me is breathability. I like E-Flex so the E-flex is my favorite mask mainly because of all the ventilation. mask is suffocating me. I could get air out and breathe really quick. on the front and all around the side it’s kind of a big deal. I would advise you the same. Always go for a mask that provides good ventilation. take off like on E-flex you pull that little tab off push the side out and then do it to the other side and lenses come out. So it’s really simple being able to take the lenses out like that allows you to change lenses or in my case clean. Changing the lenses out should be a lot easier. So, you should go with the higher-end masks that quick change lens system and are easily cleanable. exposes them to some dangers, thus there is a need to ensure that the best mask which can offer some protection against UV. In case you fail to make the right selection, you will end up to have your eyes exposed to damage. If it is not looked at, then it will cost you when you have your eyes damaged. Durability nature of the mask should be looked at when making the selection of the mask. Ensure that the mas bought are not all that soft since these ones will leave you with some bit pain. It is good to get those that are made of the material that can easily absorb the shock when the paintball hits you. Q1) What is a thermal lens paintball mask? A thermal lens paintball mask is basically a protective mask lens which is used to reduce the chances and amount of fogging while playing. It is always composed of 2 lenses. Q2) How to stop fogging on paintball mask? Some companies sell anti-fog sprays which are meant to prevent moisture from settling on the surfaces. The idea is that anti-fog is sprayed on the lenses hence preventing vapor from the must hence fogging the lens. From reports, there is a mixture of results. However, it is still considered the most affordable and easiest way to prevent fog. However, it is considered not very effective when it’s humid. This is basically a fan placed on top of the goggle. This fan can be inbuilt on the mask at the time of production. Some can also be fixed later on after purchase. The fan works by blowing air over and above the goggles. This causes evaporation of the condensed moisture. This then removes the fogging. Fans work perfectly even in humid ones. The fans are somehow expensive. They also make some noise and require more batteries. They comprise of twin lenses that have a space filled with air in between them. This air separates the face and the temperature outside. This reduces moisture condensing on the lens. Q3) How do you clean the paintball masks? It is recommended to use water and paintball lens cleaner approved by the manufacturer, and microfiber or soft clothes while cleaning your mask. Any other form of cleaners is not recommended because they can damage and hence may also degrade the lens. Also don’t use paper towels, toilet paper or other materials to wipe or polish the lens. Whenever the outside of your lens has dirt on it, wipe it away with a soft cloth or towel. Thereafter, spray it with approved cleaners or water then wipe with soft cloth again. Q4) Can you wear a paintball mask for airsoft? Yes, Paintball masks are more durable and share the same features with an airsoft including similar lenses. Q5) What to wear under paintball mask? It is important to wear goggles with anti-fogging capabilities or to have a fan to help prevent fogging during playing. One needs to be comfortable and protected especially at the face while playing and the fog to be kept at bay. After going through all the information on the best paintball mask reviews, it is now high time for you to make a decision on which of the top 7 paintball mask reviews you are going to choose from. Remember that pros in sport choose their best masks wisely and so should you if you must be in harmony with winning! What To Wear During Paintball?